MBTC now has a Meetup page – More Bakeries Than Cycling. We are listing a few rides each month that are most suitable for introductions to the club for new members. 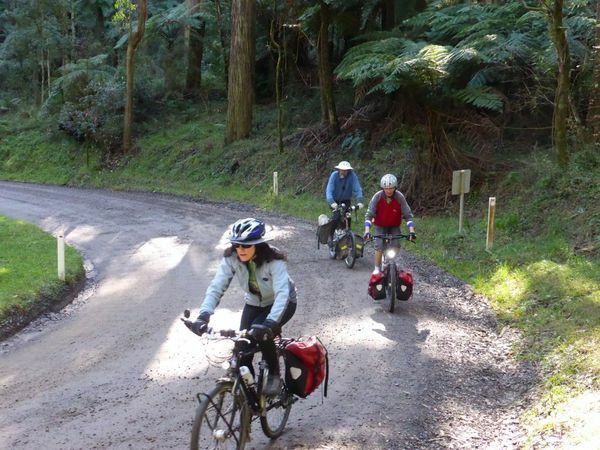 These are rides from the club program that we would like existing members to consider supporting as well, so that we can present our club story to those who choose to join us in our travels. People who come on rides from Meetup are riding as club visitors, not as members. It is also crucial for members to join Meetup and spread the news of MBTC about – go to www.meetup.com and click the red sign up link. Members who have joined the club Meetup page can be listed as Event Organisers to co-ordinate their rides. Currently the club page has over 550 members, all of whom will receive notification of club rides listed on Meetup, which is certainly great publicity for the club.